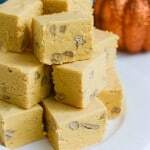 Pumpkin Pie Fudge – the taste of pumpkin pie in delicious fudgy bites! Pumpkin, white chocolate, marshmallows, and walnuts for a bit of crunch! 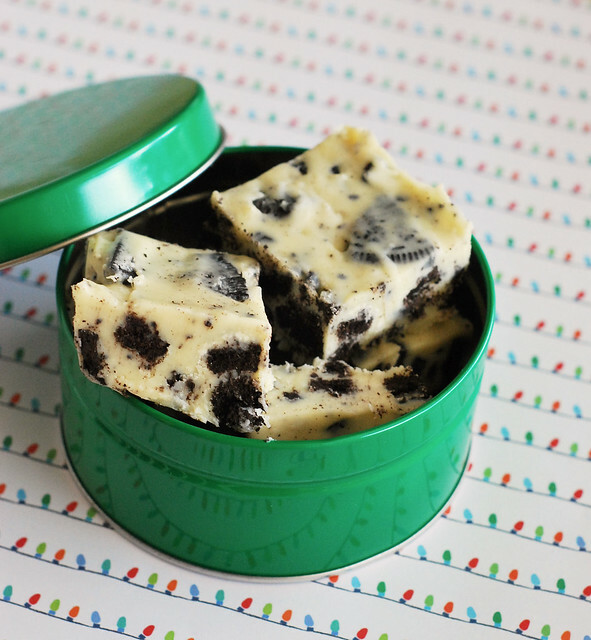 Perfect for cookie tins at the holidays! This post originally published on November 27, 2008. Wait. Have I really been blogging that long?! Anyway, I’ve updated the photos, the words, everything. Enjoy! How was your weekend? Mine was fabulous. Didn’t leave my house at all. 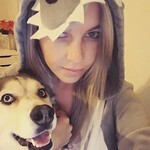 Okay, well, I ended up at In-n-Out once but besides that, I only left for dog walks. I spent Saturday binging on crime documentaries. You guys. Have you seen There’s Something Wrong with Aunt Diane? It’s a must watch but be warned: I sobbed through the last 20 minutes. I also watched Who Took Johnny, Audrie and Daisy (another must watch – especially if you have teens), and I started The Staircase. If you’re also into these sorts of documentaries, please leave me suggestions! I’m obsessed right now. In between depressing documentaries, I made lots of fudge. 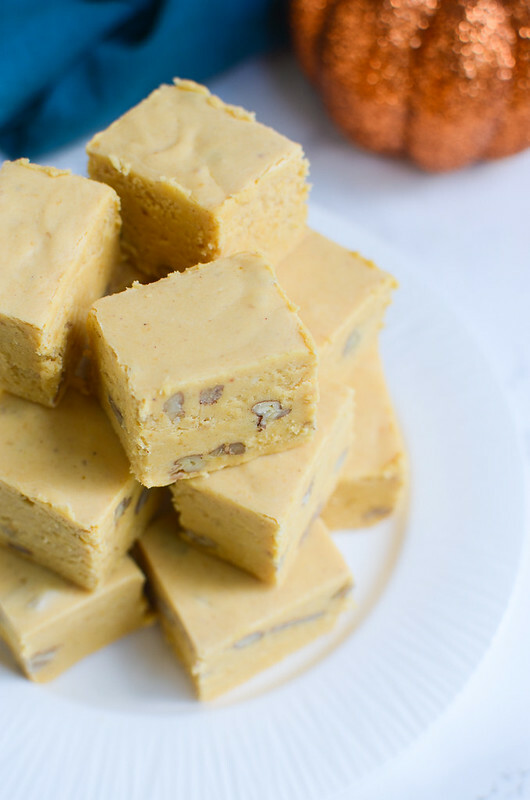 I have a bunch of delicious recipes coming up for the holidays but I wanted to share this Pumpkin Pie Fudge now since we’re kind of in peak pumpkin season. 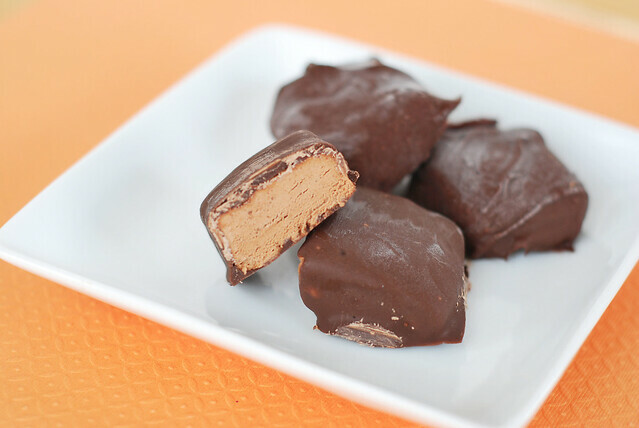 I’ve seriously been making this recipe for almost 10 years. I always make it for Thanksgiving and then usually again at Christmas. It’s not overwhelmingly pumpkin so even the pumpkin haters in my life enjoy it. 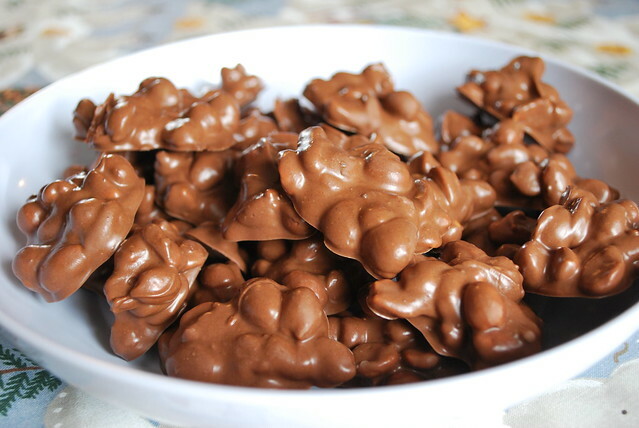 Plus, it’s a change from the usual mountains of chocolate and peanut butter fudge that I do every year. And it’s perfect in little tins as teacher gifts or whatever. In fact, the teachers in my life as getting a gift of it today because it needs to be out of my house. Immediately. It’s super easy. It does require a candy thermometer but that’s as complicated as it gets. You boil the pumpkin, sugar, all that stuff for awhile and then once it reaches soft ball stage, stir in white chocolate and marshmallow creme! Two of my favorite things ever! Stir together first six ingredients in a 3 quart saucepan over medium-high heat and cook, stirring constantly, until mixture comes to a boil. Continue cooking, stirring constantly, until a candy thermometer registers 234F (soft-ball stage). 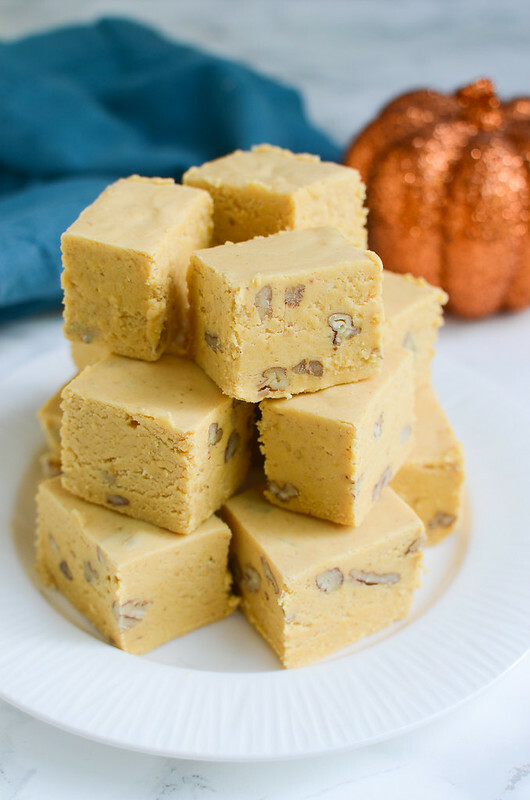 3 Responses to "Pumpkin Pie Fudge"
I’m going through your archives a little–looks like you’ve been blogging a while! 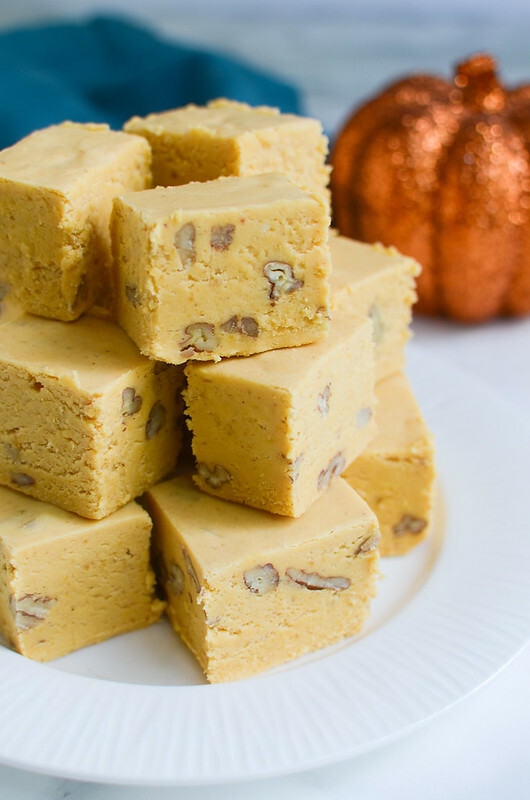 This fudge sounds amazing. I’m totally saving this recipe.